I have been wanting to make crayons out of old broken ones with my kids for a long time. 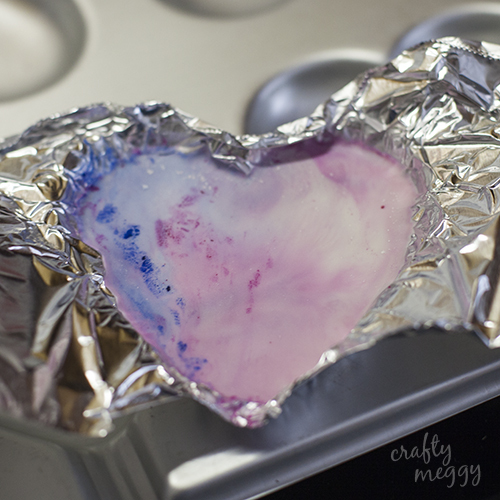 It’s always easier said than done when it comes to crafts with my kids. 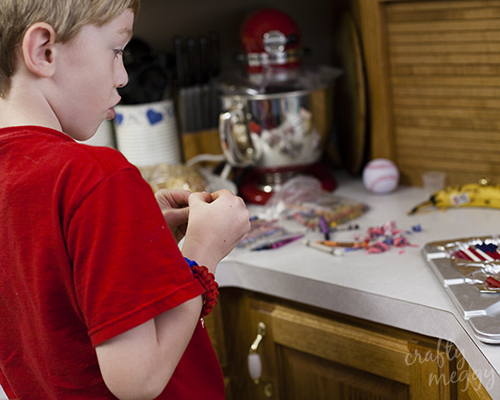 I have some blogging friends that do so much crafting with their kids and I wish I was that good about doing them with my kids, but then I sit down and do them and remember why I don’t particularly enjoy it all the time 🙂 But, since it’s summer I’ve been trying to do fun activities with them more than I usually do and yesterday, this was our fun activity. 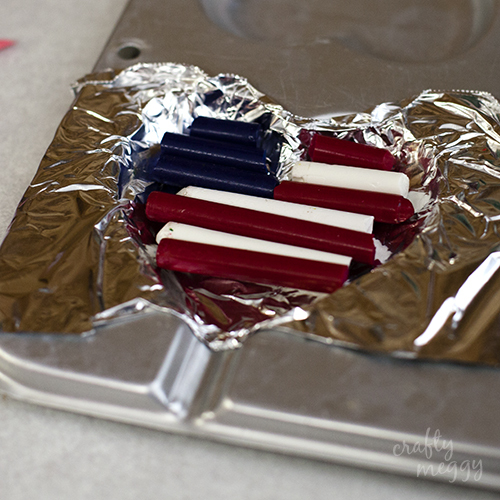 I knew that the crayons would melt and not really stay in the shape of the flag, but I though it would still be cool to see how close it came to being a flag shape. My 6 year old was my helper for this project. The other two weren’t that interested. He helped me unwrap all the crayons. I broke some of them down smaller to be the right size. 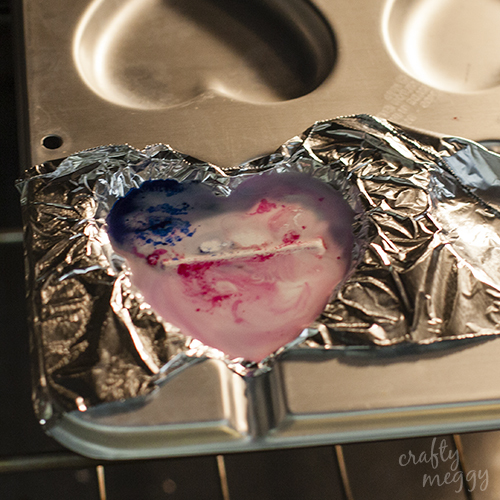 I put the pan in the oven. This is what it looked like after about 4 minutes. This was after about 8 minutes. I left it in for 2 more minutes so that white crayon would melt all the way. It was being stubborn. 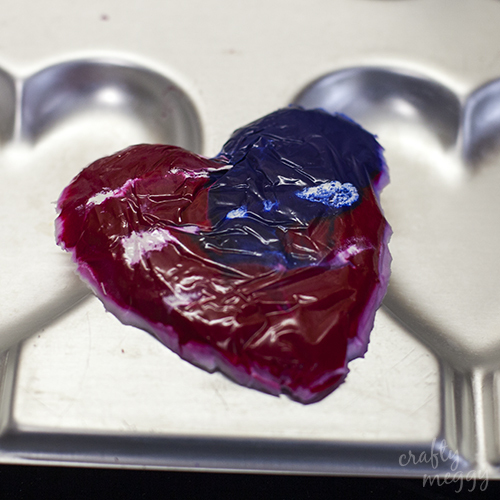 Once it had dried and cooled I pulled the foil out of the heart mold and pushed the crayon out. It popped out easily and was ready to use! The back turned out a little better. You can kind of see a flag shape 🙂 I thought about trying it again and switching the blue crayons to the other side, but decided this was ok. Brynnan colored with it and thought it was pretty cool. Thanks for stopping by! 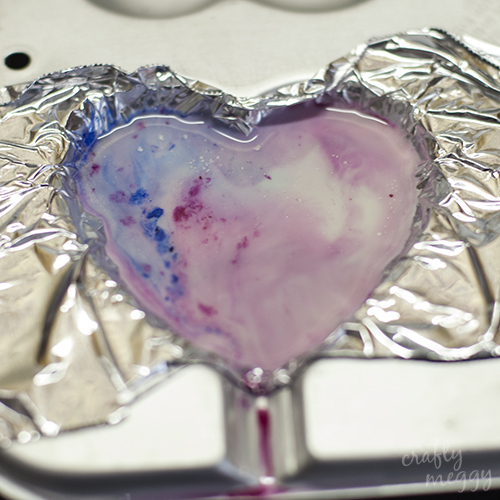 I have a special post for tomorrow so I hope you’ll come back and visit! As long as the kids are happy and entertained, you win! You always come up with the best stuff!! 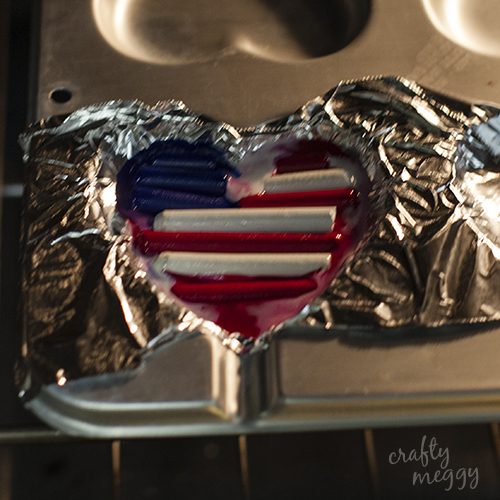 Next Post Happy 4th of July! !